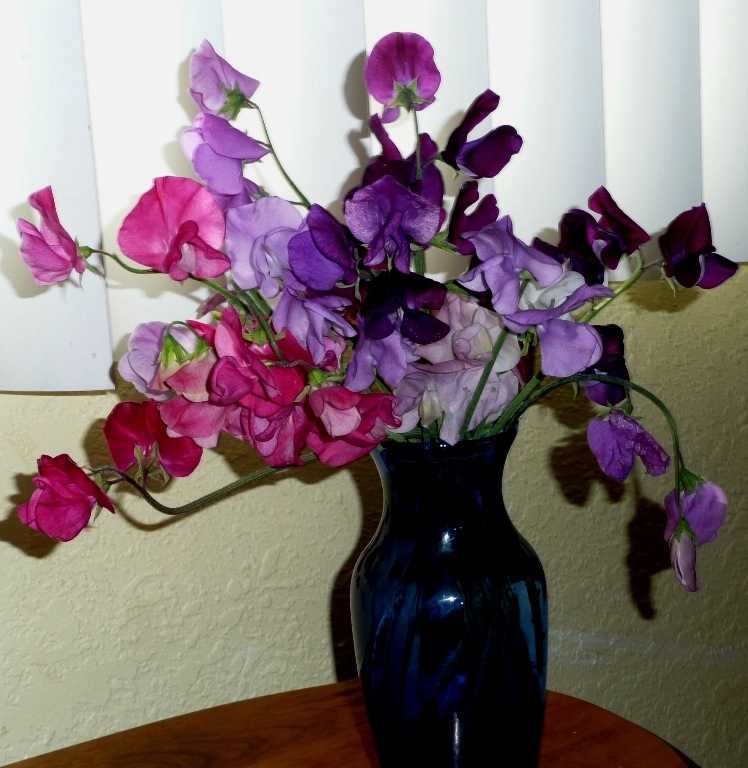 Sweet Peas for my Sweet Pea! Grandma Rae’s flowers and photo. Today my daughter turned 27. There are so many reasons that spring was the perfect season for the birth of my Sara. Spring is fresh, cheery and full of energy. Most of all, with spring comes hope. Sara brought so much hope to my life! The year before Sara was born, a young military couple who I was close to got pregnant. They were so young and in love and mutually glowing, that you’d have to be made of stone not to feel it. I was almost 30 and not thinking about settling down to domestic life with babies, although I was married. In a few months I realized that I was pregnant. Then I realized the glow was not automatic. My husband was not feeling it. Our company relocated us to Yakima, where we didn’t know a single soul. Where was that damn glow? It was a rough pregnancy and the pothole filled streets of our new town didn’t help. Yakima was colder than anywhere I had ever lived. Maybe if I could get that illusive glow it would warm me up!? No such luck. I focused my energies on crafts and genealogy. I met a few neighbors, but had no real friends. Pitiful! At some point, my focus turned onto the bundle of joy curled up inside me. Yep, I know, duh. I had scary pregnant-mother dreams and I had day dreams about the wonderful life we would have. As spring moved closer, my heart thawed even more and I began having long conversations with that little person in my tummy. I sang songs and read books to the tiny future that was tumbling and turning within the mound at my center. Waiting for Sara’s birth was very much like waiting for spring. After a long (9 months!) winter, with no color or warmth, I yearned for the bright hope and cheer of my baby. I remember counting and recounting the days until the baby was due. I remember the doctor appointment that day. “Any time now.” My mother-in-law (RIP, Katie) was over for the great event; the birth of her first grandchild from her only child. I will always remember pacing that small duplex, while dad-to-be and his mom slept peacefully unaware of the drama taking place. I loved those hours anticipating the birth, and cherished the strange communication we had in the wee hours that night. I almost didn’t want the baby to leave my body. I felt it would sever something special between us. So I waited until I couldn’t wait any longer; I was dilated 8, of 10 centimeters by the time I finally woke the household and moved to the birthing center at the hospital. Sara was the light and hope of spring 27 years ago, and she continues to be my light and hope. Categories: Essays, LOVE Family & Friends | Tags: birthday, daughter, flowers, spring | Permalink.